Gilbert, AZ is a growing suburb located southeast of Phoenix, AZ. The town that once started off as a tiny agricultural community has now grown to be one of the most popular cities to live in the Phoenix area and is home to over 200,000 people. Employment is abundant in the Gilbert area and some of its top employers include popular companies such as GoDaddy, Banner Health, and Fry’s Food and Drug. Gilbert continues to thrive and the downtown area is quickly becoming a hot spot in the Phoenix area, complete with restaurants, art and culture, and unique places to shop. The properties and homes for sale in Gilbert, AZ range in price from affordable to luxury houses. Many communities such as Seville include houses in every price range, making it a very diverse and popular community. Power Ranch is another up and coming neighborhood with a variety of different communities all coming together to make one master-planned neighborhood with access to golfing, a clubhouse, and lake views. 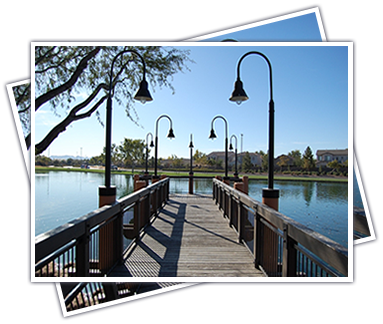 Real estate in Gilbert provide future residents with many, many options for their new home. Pool homes and golfing communities are two of the most sought after housing types and are a plentiful feature.